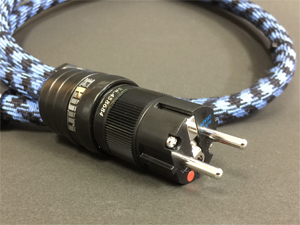 聖Hijiri introduce a new power cord “Nagomi”. 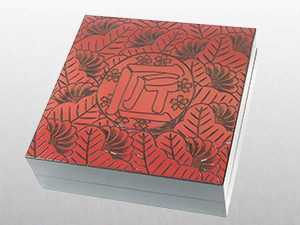 Nagomi is Japanese name and meaning to express - Peace in soulfully relaxing -. “Nagomi” is a kind of power cord that can deliver soulfully musical and touching and yet energetic sound like live. “Nagomi” is designed and manufacturing in use of meticulously selected and custom-made materials including wire, and tuned perfectly with our oriented Resonance Control Technology. This technology unleash power conductance freely and eliminate harmful noise, and balancing entire music spectrum so natural and smooth that music lovers can enjoy lifelike sound that touch your soul. Plugging “Nagomi” into no matter what type of electronics to include Power Amplifier, Control amplifier, CD transports, Digital-to Analog Converter, “Nagomi” deliver a vastly and unimaginable improved dynamic impact you have never ever experienced before. 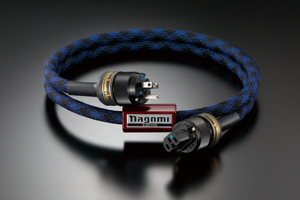 “Nagomi” is power cord bring you up to higher level in music listening entertainment. It is a cord you should not be missed out. Note: Break-in time: longer time, more musical sound NAGOMI can deliver. In designing with our oriented Tuning Technology, “TAKUMI” 匠 Maestro AC power cord is meticulously made by our tuning Maestro piece by piece in use of carefully selected materials, custom-made copper. Everyone of “TAKUMI” 匠 Maestro produced with the care of Maestro can conduct AC current exceptionally smooth, and the electronics driven will deliver breathtakingly clear and natural to raise “The Art of Music” that one can most appreciate the unprecedented sound reproduction retrieval reminiscent of a live musical event. 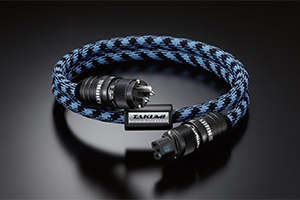 “TAKUMI” 匠 Maestro is power cord specially designed for those who cannot compromised and seek always the Best sound. Design principle : Crystal clear, wide and deep sound stage and musically reality. Wire material : Custom-made copper, directional. Meet RoHS reuirment. Plug : WattGate 330iRH(flat pin) or 390iRH(European Schuko type). IEC Connector : 350iRH Rhodium. Meet RoHS. Available sizes : 1.0m, 1.5m, 2.0m, 2.5m and 3.0m long. *Other size than above is also available to made to order.